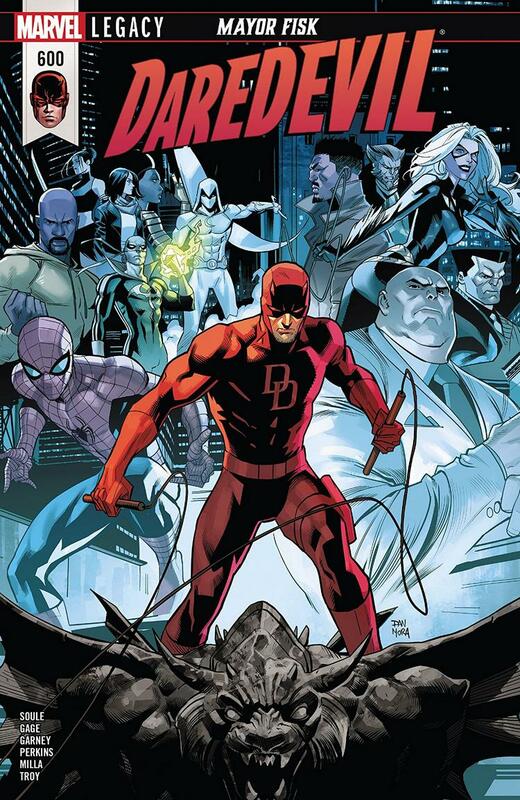 Daredevil can see the new mayor’s machinations coming together…but is he in time to stop them? Guest-starring both the heroes and villains of the New York City streets…this oversized anniversary issue has a surprise ending that will shake the city to its very core! Plus: a look at Foggy & Matt’s relationship over the years! Why It’s Hot: Daredevil reaches issue #600 as the Man Without Fear gathers the heroes of New York to put a stop to Mayor Kingpin’s latest bid to take total control of the city. I know Marvel’s renumbering takes a little bite out of the occasion, but reaching 600 issues is a huge milestone for Daredevil, which has been one of the most consistently good superhero comics of the past 18 years. 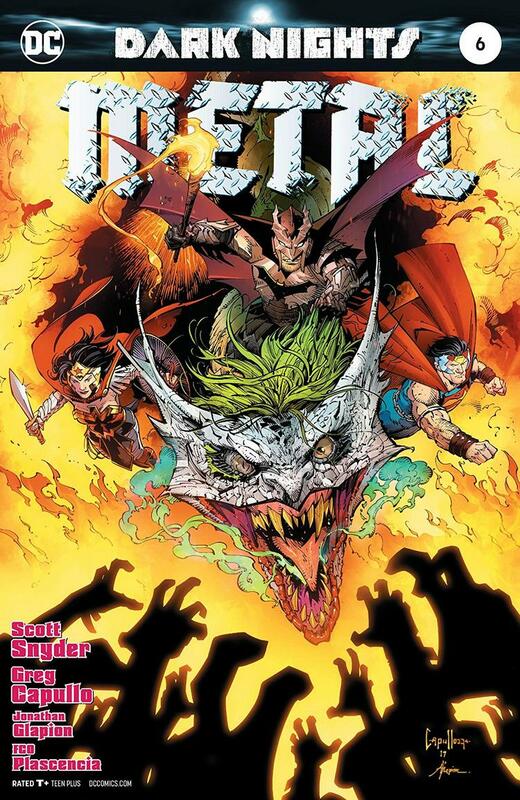 Why It’s Hot: Scott Snyder, Greg Capullo, and company’s epic event comes to a thrilling conclusion. The DC Universe (and then some) come together to stop Barbatos, The Batman Who Laughs, and the rest of the Dark Knights from plunging the universe into darkness. This comic is one wild ride that will make you cheer, and leave you waiting with bated breath for what comes next. If you’re excited for the upcoming No Justice and the future of the Justice League this is one issue that you do not want to miss! 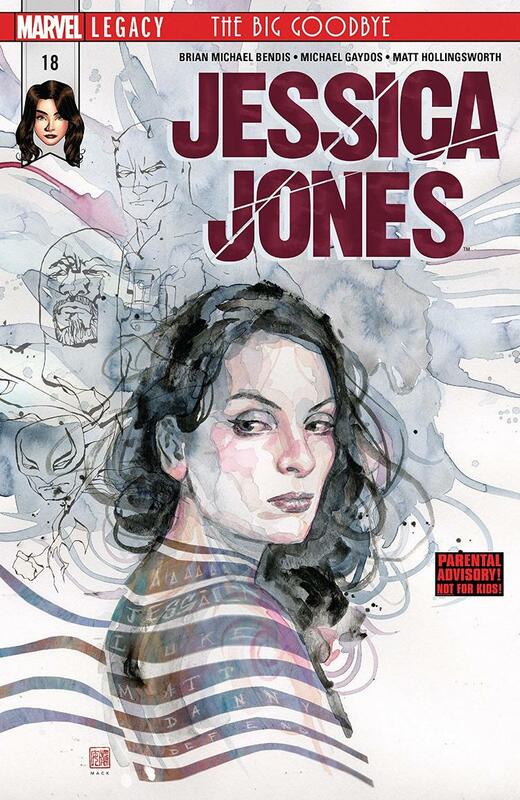 • As the creators of Jessica Jones leave her to an all-new team next issue, they bid her farewell with one last very special story – a truly incredible tale that no one ever gets to see. • Be here for an unforgettable issue that ties threads together from all over the amazing Marvel Universe. Why It’s Hot: Bendis, Gaydos, and Hollingsworth say goodbye to Jessica Jones for what may be the final time. Let that sink in; this may be the last time Brian Michael Bendis ever writes Jessica Jones. Drakkon returns and the Mighty Morphin Power Rangers will never be the same. The “SHATTERED GRID” event begins here! Why It’s Hot: THE BIGGEST POWER RANGERS STORY EVER STARTS HERE! 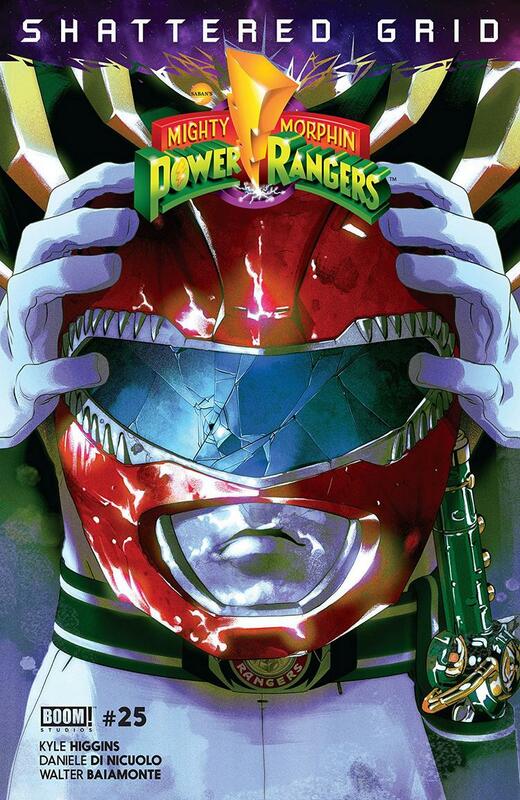 This is it, Shattered Grid begins, and Power Rangers across space and time will be brought together to face their biggest threat ever. If you’ve ever been a fan of this franchise you should, no, NEED to check this comic out. Why It’s Hot: In the current climate of creator owned comics it’s easy to get lost in the hype of what’s new and shiny. Almost six years ago to the day the great Brian K. Vaughan returned to comics alongside the ridiculously talented Fiona Staples to launch a new science-fiction fantasy series. 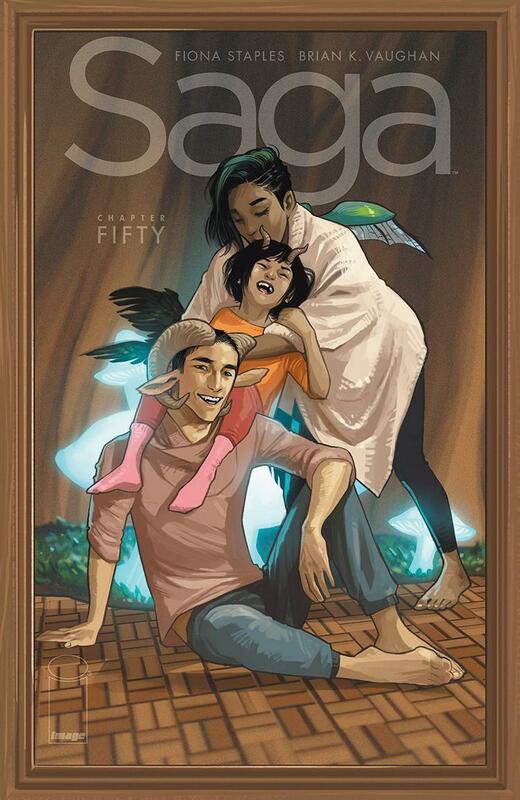 Saga took the comic book world by storm, and quickly became one of the most popular series in the industry. As time went on the series continued to be great, but whether it was BKV’s own work (Paper Girls) or any of the hundreds of other creator owned launches, the adventures of Hazel and her parents faded in public consciousness a bit in favor of the New and shiny. Well Saga is still here, and still great. I think issue fifty is a good time to sit back and celebrate that fact, and what BKV and Staples have been able to accomplish.